Michael entered political life determined to make a real difference and improve the lives of Tasmanians. His vision is “for Tasmanians to be the happiest people, enjoying the best quality of life in Australia”. Everything he has done in public life whether in local, state or federal levels of government is so local families can get ahead and plan their future with confidence. Michael grew up, studied and married in Northern Tasmania. As a youth he displayed a passion for community work and charitable causes. He achieved two degrees at UTAS, a Bachelor of Education and Bachelor of Applied Science, developed new interests in youth work, radio and politics, and started his own business before working as a high school teacher in 1996. Michael taught maths, science and IT at state secondary schools and is very thankful to have worked with so many wonderful students and fellow teachers. His continued commitment to many community organisations, especially those serving young people, led to Michael being named Tasmanian Young Australian of the Year for 2002 by the National Australia Day Committee. That was also the year Michael was elected to the Meander Valley Council. From 2004 to 2007 he served as Federal Member for Bass. 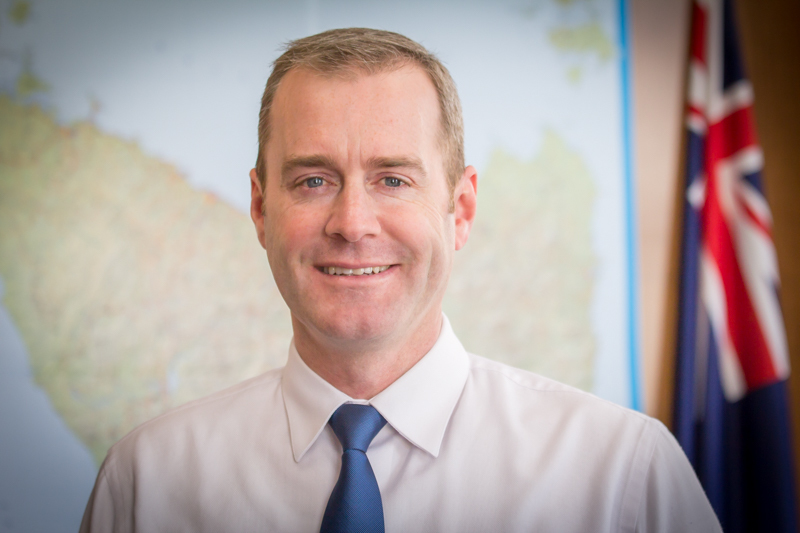 In that role he worked on a number of parliamentary and policy committees, secured record funding for health, road, infrastructure and education facilities, and helped improve shipping between Tasmania and the Bass Strait islands. Michael proudly served the Clifford Craig Foundation as CEO, advancing its mission for world-class medical research in Northern Tasmania and encouraging more specialists to the LGH. Michael strongly believes in the time-honoured values of hard work, self-discipline and personal integrity all underpinned by his Christian faith.